This creature has been terrorizing children since ancient times. Many horror fans are excited about the upcoming film Krampus, which will hit theaters this December. 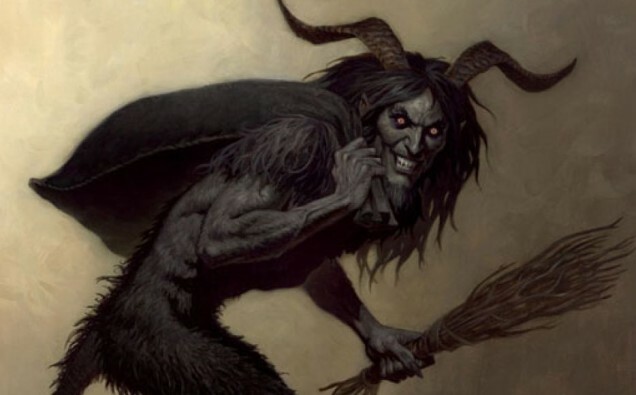 Who and what is the Krampus? Where did he come from? This week I was able to uncover some fascinating information on the creature. The Krampus, a menacing figure who punishes naughty children, has origins in Alpine folklore. Traditional depictions of Krampus show him with horns, cloven hooves, and a shaggy body similar to the classic appearance of the Devil. 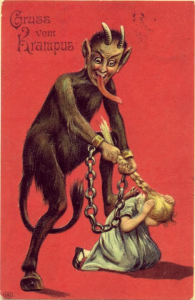 However, the Krampus’s origins predate Christianity and are rooted in German pagan traditions. 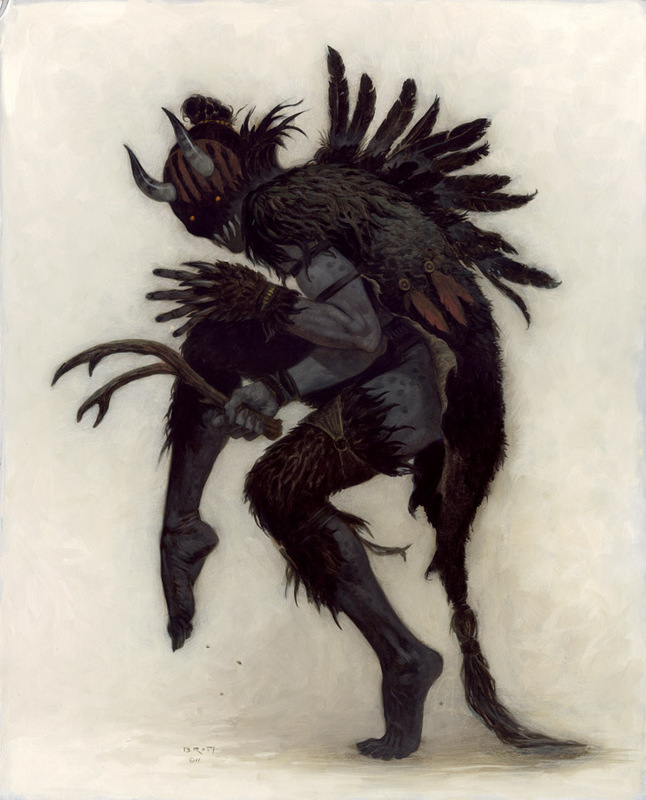 The Krampus carries a bundle of birch switches which he uses to beat children who have not been good over the course of the previous year. Such switches were often used in the initiation rites of witches’ covens. 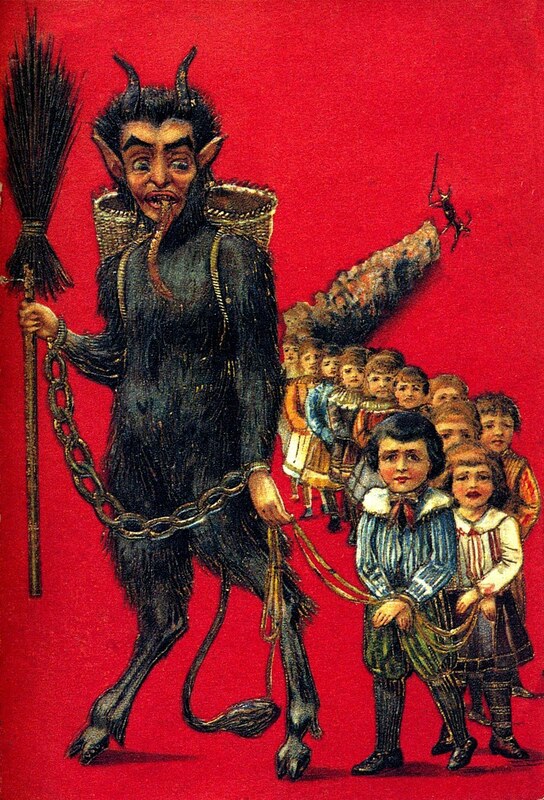 The Krampus is often represented carrying heavy chains, which he rattles and clanks to terrify children. He often sticks out his long pointed tongue as another form of intimidation. 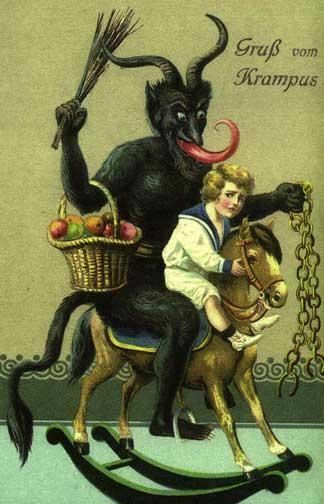 In places that observe the Krampus tradition, he is said to visit the homes of children that have misbehaved on the night of December 5th, the night prior to St. Nicholas’s feast day. While St. Nicholas brings presents for good children, Krampus punishes bad ones. 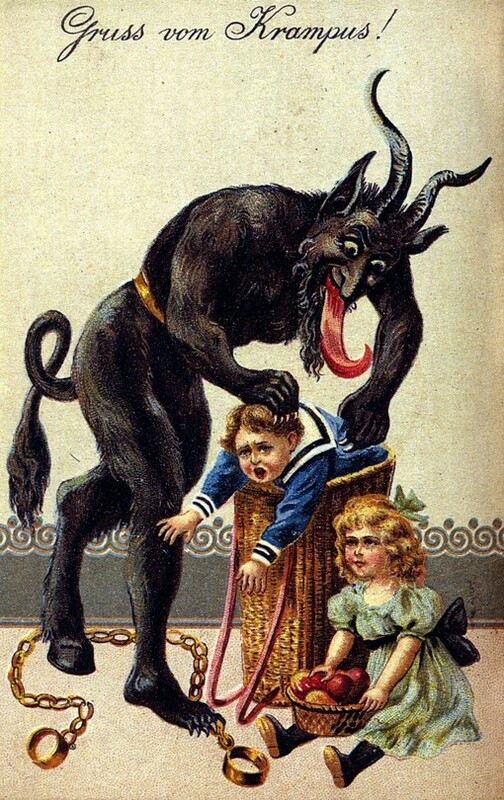 He is known for stuffing the especially naughty children into boxes, sacks, or washtubs, then transporting them to the underworld. Children whose misbehavior is less severe may just catch a switch beating, and/or receive a sack of coal. 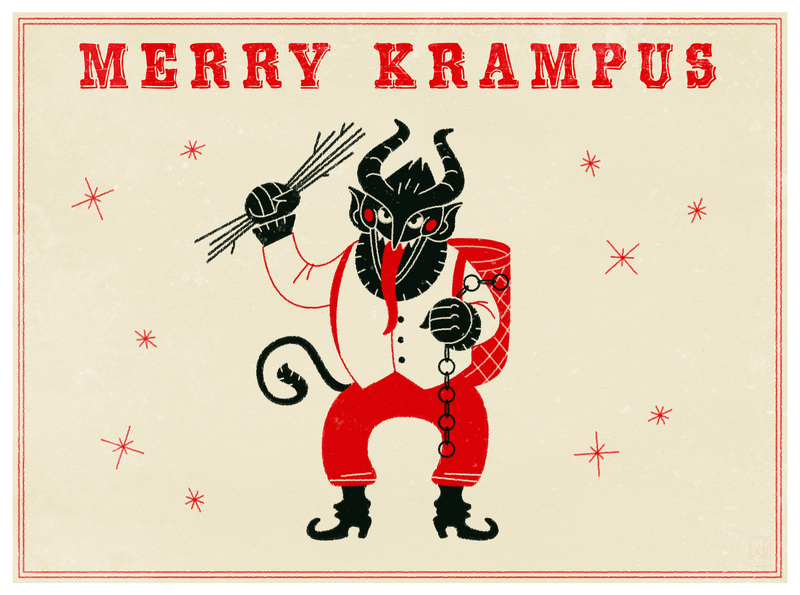 In lieu of Christmas cards, some people send their friends Krampuskarten, or Krampus cards. They usually read Grüss vom Krampus! On these cards are pictures of the Krampus inflicting some sort of punishment on children. Over the years, the Krampus’s image has softened somewhat. He is now presented as a humorous figure, and not as threatening as he was in the past. 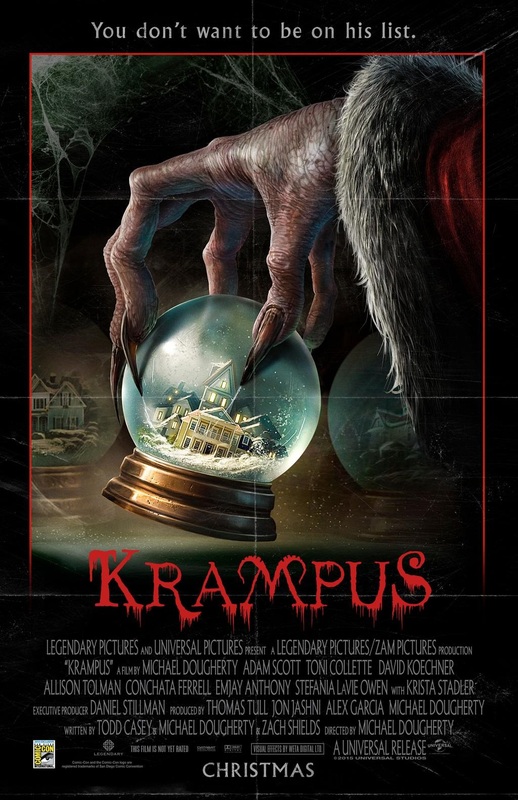 The film Krampus is directed by Michael Dougherty, who is known for his anthology horror film Trick ‘r Treat. This fantasy horror film should be riveting given its Christmas theme, and the look and personality of the Krampus. 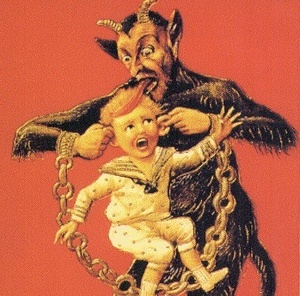 Are you excited to see Krampus? Let us know in the comments section below. You can follow me on Twitter @BloodShedMyers, and you can check out my new Facebook page by clicking here. Very interesting! Thanks for delivering this info. I’m sure it will enhance my viewing experience when I see Krampus later this year.